Healthcare Based Directory Websites that focuses on the healthcare and medicinal areas. The websites are customized to suit the concept and the directory features are changed and used for the purpose. We spot the BEST supplement deals so you don’t have to. Don’t miss another deal. 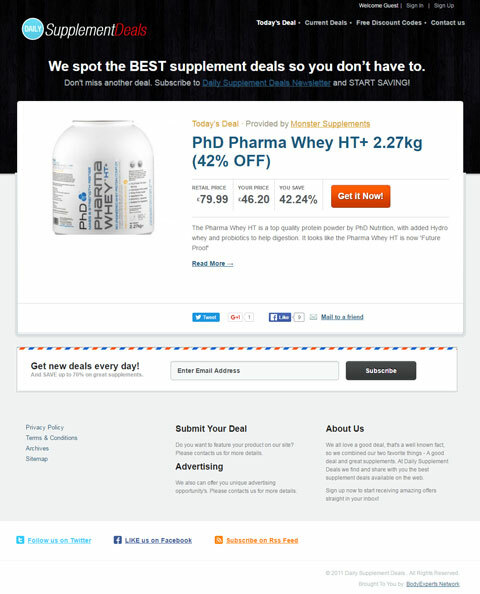 Subscribe to Daily Supplement Deals Newsletter and START SAVING!